If you have ever looked under the hood of your car or your undercarriage and realized that you don't have any idea on what most of the parts do, you are not alone. Most motorists would not be able to tell you the significance of each part and, if anything breaks, will usually take it to a mechanic straight away. And while regular mechanic visits are necessary, there are many parts in your engine which you can maintain yourself. Even without a qualification in mechanics. What Are the Functions of an Air Filter and an Oil Filter? 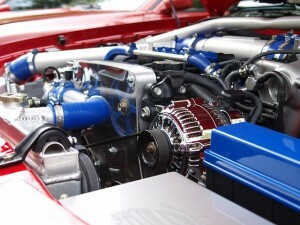 If you are interested in learning a bit more about your engine and how you could save yourself time and money by undertaking general maintenance yourself, you have come to the right blog post. Alongside providing the highest quality products for a synthetic oil change, USA Synthetics has some basic information to share about your air filter and your oil filter. Let's start with your air filter as it likely the most accessible and visible of the two filters we will discuss. The two most important requirements to efficient combustion are fuel and air. The air used by your engine comes from its air intake which draws its supply as you drive, and is likely visible under your hood. As air is taken in, your air filter acts as a barrier which collects bugs, debris, and general pollutants before the air has had a chance to mix with your fuel and enter your engine. If you want to see what your air filter is likely filtering out, take a look at the front grill of your car. Over time, your air filter traps so much debris that it restricts the amount of air provided to your engine. As this restriction increases, the performance of your engine decreases. Ford notes that the life span of your air filter depends on the environment you drive in. The best way to know if you are due for a change is to take it out and give it a once over. Similar to a synthetic oil change, replacing your air filter is a task which you can undertake at home. If you are not sure which air filter is best suited to your needs, speak with USA Synthetics at (405) 388-6170. With years of providing superior AMSOIL automotive products and advice, be sure that you will get the best-suited product for your engine. What Does Your Oil Filter Do? As your engine works, even during regular slow drives, internal components operate at such speed that they create high temperates and extreme pressures. To help the entire process, a synthetic oil change provides each engine part with a protective coating to assist each part in interacting with other components. As an example, instead of scraping against each other, these parts would just slide smoothly. The smoother each engine component can operate, the less damage caused to your engine. However, as your oil begins to age or your engine suffers from general wear and tear, small shards of debris and even metal can build up and begin to travel through your engine as your oil moves. As these pieces move, they can cause damage to your engine. If left to travel continuously, the damage can become so great that you notice a drop in performance and a rise your mechanic visits. As your motor oil makes its journey around your engine, it is pushed through a product known as an oil filter. At great pressure, oil is pressed through the fibers inside your oil filter which trap these shards and resupply your engine with oil. Similar to an air filter, your oil filter can become so clogged that it is no longer able to do its job. However, in the case of your oil filter, instead of stopping the flow of oil, it lets dirty oil pass through it and back into your engine. If you are already performing your own synthetic oil change at regular intervals, then there is no reason why you can't replace your oil filter and your air filter at the same time. Not only will replacing them yourself save you a trip to the mechanic, but it can minimize engine wear and help to increase the performance of your engine. If you are unsure which filter is right for your car, speak with an expert at USA Synthetics by calling (405) 388-6170. Not only will you get the best advice and products for your synthetic oil change in Oklahoma City, but USA Synthetics can provide you with the highest quality AMSOIL air filters and oil filters to help your car run as smooth as possible.